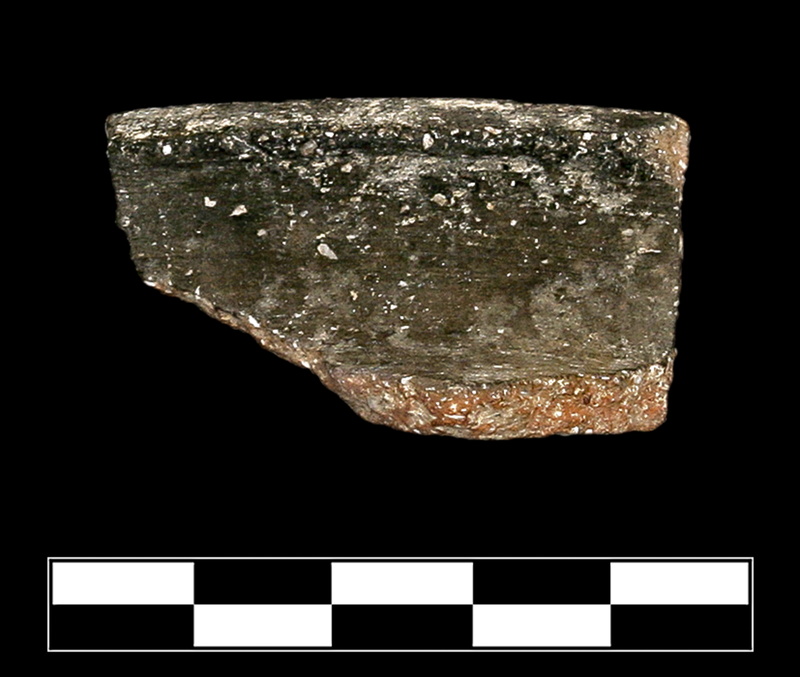 Single sherd preserving less than 1/12 of rim; everted, flat outer edge. Granular fabric is pale brown with abundant light angular inclusions; occasional tiny bits. Interior surface is light brown; exterior is grey; all extant surfaces have light brush marks and are slightly micaceous. Evidence of burning or use evident on rim.